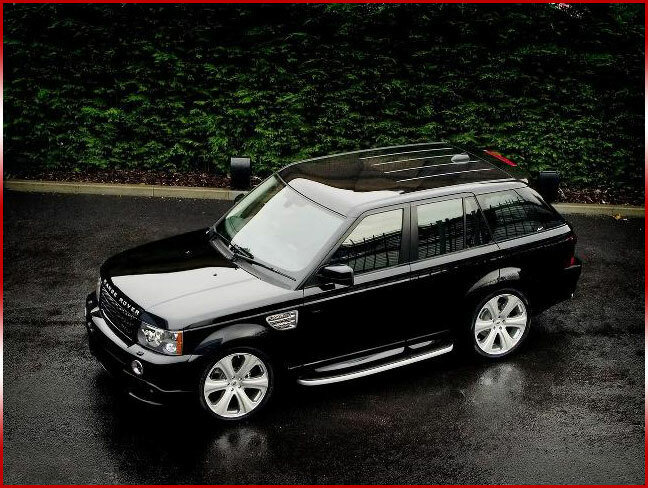 If you are looking to hire a luxury 4x4, then the Range Rover Sport should be top of your list. The Range Rover Sport provides you with precision, power and prestige all in one package. With the commanding driving position, the Range Rover provides you with a driving experience like no other vehicle on the road. From the outside with it's rugged good looks,the Range Rover Sport is an immediately recognisable vehicle and is equally at home on city streets or off-road. The vehicle is powered by a 4.2 litre supercharged, all aluminium Jaguar AJ-V8, producing 390 hp. With such a powerful engine, the Range Rover Sport is the ideal grand tourer and is perfect for effortless cruising on long motorway journeys. An added feature of the Land Rover is the patented Terrain Response system. Terrain Response allows the driver to adjust chassis and transmission settings to suit the terrain being traversed. Five settings are available via a rotary knob on the centre console. The interior of the Range Rover Sport has been designed with sheer luxury in mind. 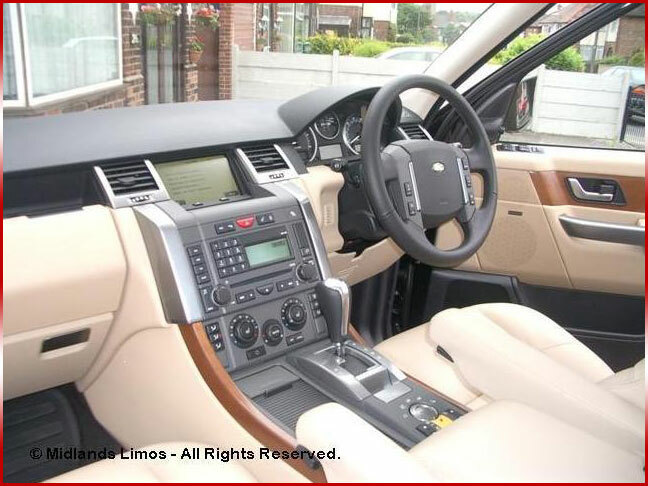 Kitted out with leather seating and a vast range of added features, such as electric driver and passenger front seats, heated leather steering wheel, interior mood lighting, cooler compartment and remote park heat. Remote Park is an unbelievable feature that has been developed to pre-heat the engine and then channelling residual heat into the cabin. The vehicle warms up while you're getting ready to leave the house, allowing you to set off quickly and comfortably, in even the coldest conditions. The Range Rover Sport really is a vehicle that takes luxury driving to a whole new dimension! At Midlands Limos our mission is to provide you with industry leading customer service, which will ensure you come back to us time and time again. We will go out of our way to make sure that your vehicle hire is a stress free and an enjoyable experience. The Range Rover Sport is available for self-hire or with uniformed chauffeur and is perfect for days out, airport transfers or for wedding hire. So if you are considering hiring a luxury SUV, then please do not hesitate to contact us to enquire about our competitive pricing plans.